Today Turner Classic Movies will showcase the films of silent screen star John Gilbert as part of its "Summer Under the Stars" line up. 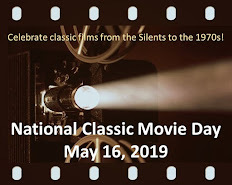 Viewers will have a chance to see eight silents, a mix of Gilbert's most celebrated films and lesser-known gems, as well as six sound pictures, most rarely seen. 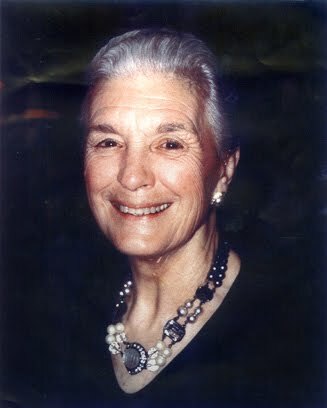 If this daylong tribute marks a high point in the resurgence of John Gilbert, it is also a triumph for his daughter, Leatrice Gilbert Fountain, who has worked tirelessly for nearly 40 years to restore her father's reputation. I spoke with Leatrice after the "Summer Under the Stars" schedule was announced. "Speechless and surprised," was Leatrice's reaction to the all-day honor, "and it's so satisfying." Leatrice was born just as her parents, John Gilbert and silent film star Leatrice Joy, were divorcing in the mid-1920s. Raised by her mother (the two are pictured at right), she yearned to know her father. She recalls, "My nurse told my mother that I kept asking when my daddy was coming home." But the marriage was finished and Leatrice had little contact with her illustrious dad. Time passed, and then came a summer Leatrice and her mother spent in Malibu - where, it turned out, her father was also staying. She had been trying but hadn't managed to run into him yet when one day, as she was rolling in the surf, the victim of a rogue wave, strong hands snatched her from the sea. Leatrice looked up to see that her rescuer was her handsome father. A while later Leatrice sent him a letter; she asked for his picture and enclosed one of herself. This ignited what Leatrice calls "a brief, intense relationship" that spanned the last year of John Gilbert's life. "He appeared, we clicked and the future looked bright," she remembers. He was the only adult in her life that didn't talk down to her, he spoke to her as an adult and asked her grown-up questions. "I was a news junkie even then," she says, and her father talked with her about various topics of the day, from President Roosevelt to the repeal of prohibition. In that short period, Leatrice achieved a bond with her father that she didn't have with her mother ("a sweet fluff-head") or stepfather. "My father lived on a Hollywood hillside in a Spanish-style home near a water tower. In my mind he lived in the tower of a castle at the top of a hill." Gilbert had the aura of a storybook prince for his daughter and when he died suddenly of a heart attack in January 1936 at age 38, Leatrice was devastated. Her longed-for connection with him had completely engaged her and then he was gone - "I felt a great emptiness...I don't think I ever got over the loss." 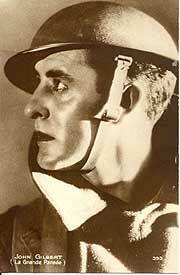 As years passed, John Gilbert, a top MGM star at the height of the silent era, was reduced to a Hollywood footnote. What most people knew about him, if they knew anything, were oft-repeated (and reprinted) tales of an inadequate voice that didn't translate to sound, a broken romance with Greta Garbo, questionable acting ability and a drinking problem that killed him. At the time of his death Gilbert's great silent pictures were no longer shown and his career was in flux, so Leatrice grew up not knowing enough about her father's life or career to actively dispute the mythology that had become accepted as truth. By the early 1970s, Leatrice was a married woman with five children living on the East Coast. Though she didn't know it at the time, she was about to embark on one of her life's missions, the restoration of her father's name. New York's Museum of Modern Art invited her to a screening of one of John Gilbert's signature silent films, Erich von Stroheim's The Merry Widow (1925). Watching the film for the first time, Leatrice experienced a jolt; she realized her father was not simply a handsome face, but a gifted actor. She recalls, "A young fan came up to me and commented on the "wonderful film" and said he wanted to write a book about John Gilbert. It then became my cause...I knew I wanted to be the one to write the book." Once committed, Leatrice began to seek out her father's other films. She traveled to Eastman House in Rochester, NY, where she told fabled film curator James Card, "I don't know anything about my father's work," and Mr. Card eagerly replied, "Come with me and I'll show you..." Between Eastman House, MOMA and the Library of Congress, she saw all of John Gilbert's available films. Leatrice was a busy wife and mother when she began her research and so she worked "in bursts" over several years. In the course of her work she met with many people who knew or worked with her father. Today Leatrice looks back and realizes she began her undertaking in the nick of time; most of the people she interviewed were soon gone. She met with cameramen and other technicians, she met with directors like Clarence Brown, John Ford, Howard Hawks and King Vidor, and she met with stars like Joan Crawford, Marlene Dietrich, Lillian Gish and Norma Shearer. According to Leatrice, some remembered John Gilbert from before he was a star, when he was affectionately looked upon as "an adopted kid on the MGM lot." All responded warmly to her and Leatrice discovered that they all had liked her father and respected his work. She stayed with King Vidor's daughter and was able to spend days talking with the man who had directed her father in two of his best silent films, The Big Parade (1925) and Bardelys the Magnificent (1926). Clarence Brown, who directed Gilbert and Garbo in Flesh and the Devil (1926), generously spent an entire afternoon with Leatrice sharing his memories. Norma Shearer, whom Leatrice believes may have once had a fling with Gilbert, told her of his passing, "Some of the tears I shed while making Romeo and Juliet were for your father." The transformation in industry and public perception of John Gilbert came slowly, but Leatrice recalls a moment when she knew attitudes were shifting. In the early '80s she was invited by esteemed silent film historian/author/documentary filmmaker Kevin Brownlow (co-producer of the distinguished Hollywood series for Thames Television) to introduce a screening of Flesh and the Devil in London. She remembers enthusiastic crowds of young and old lined up to see the film and that, "New writers and reviewers watched without bias and wrote about what they saw on the screen." In 1985 St. Martin's Press published Dark Star: The Untold Story of the Meteoric Rise and Fall of the Legendary John Gilbert, Leatrice's biography of her father, written with John Maxim. Filled with Leatrice's detailed research, the book not only recounted the story of John Gilbert's life but also went a long way to set the record straight on the rumors about him. Perhaps the most virulent myth debunked is the story that John Gilbert's "high voice" had caused the collapse of his career. Gilbert's first talking feature, a film Leatrice describes as "a romantic comedy that was mistaken by audiences and critics for a straight romance," was a resounding flop. The dialogue was laughable and laughed at. But some said it was Gilbert's voice that caused the tittering. The voice theory was not the consensus at the time but it was the story that stuck over time. Leatrice calls her father's voice "a light baritone similar to Douglas Fairbanks, Jr.'s." Ultimately, a combination of factors plagued Gilbert's transition to sound: his disastrous relationship with MGM kingpin Louis B. Mayer, the quality of the early talkies to which he was assigned and, perhaps, a change in audience tastes from Victorian-era morality to pre-Code realism. In her book Leatrice pointed out that John Gilbert continued to receive film offers till the end of his life. Marlene Dietrich, his final love, had persuaded him to co-star with her in Desire (1936), but he was forced to drop out after he suffered one in a series of three heart attacks, the last of which killed him. Leatrice is firm that, though her father did drink to excess, "he did not drink himself to death." Regarding Gilbert's storied romance and rumored near-wedding with Greta Garbo, Leatrice comments,"I don't think she ever had any intention of marrying him." Dark Star was a great success and Leatrice traveled the talk show circuit, spoke to college audiences, appeared at silent film events and gave countless interviews. She still gives an occasional interview and has continued to frequent silent film festivals and screenings around the world, introducing her father's pictures and taking part in panel discussions. Her "swan song" on the road, she told me, might have been last year's annual Pordenone Silent Film Festival in Italy, the largest silent film festival in the world. At this writing, though, Leatrice is beginning to change her mind...she just might go to Pordenone again this year...I hope so. She muses, "In his lifetime, my father did not believe his film work would last or be remembered and he said as much to his close friends." Leatrice Gilbert Fountain's passionate campaign to restore her father's reputation has succeeded beyond anything she might once have imagined. Today she is happy to report that her children are able to "bask in the reflected glory of their grandfather." Like their mother, they attend screenings and introduce his films to new generations of appreciative fans. it is sad that LEATRICE had to expend so much time and effort in restoring her father's memory..but thank GOD she did...great post eve..although i am in the minority who dislike QUEEN CHRISTINA!! Doc, I think Leatrice's work on behalf of her father turned into a labor of love that really paid off - for everyone. Glad to hear you enjoyed the blog. QUEEN CHRISTINA is the only sound film of Gilbert's I've seen, so I'm very interested to see the others on TCM's schedule, especially THE PHANTOM OF PARIS and DOWNSTAIRS. To "Nursing Interview Questions" - I'd suggest recording everything TCM is airing tomorrow, it's free and it's 14 films. Otherwise, Amazon carries DVDs of some of his movies as does Movies Unlimited. Excellent Ms Eve. I think this is a very touching story of how, after many years, a daughter is able to reclaim an aspect of her lost father. This is quite a gift she has given to him, herself and the public. It seems that its the unflattering stories that get most often repeated - whether they're truthful or not. Perhaps thats human nature. Its nice, though, to witness an effort, born of love, to bring out the truth. What a marvelous, informative article on one of the great silent film stars. 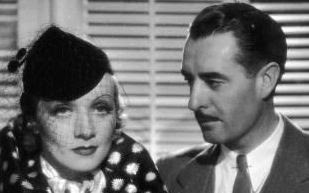 My favorite John Gilbert movie is DOWNSTAIRS (sort of a movie precursor to the wonderful TV series UPSTAIRS DOWNSTAIRS). After all the stories about John Gilbert's voice, I was surprised that I didn't notice anything unusual. I think--as you wrote, Eve--that the story stuck over time, sorta like an urban myth. It was fascinating to read Leatrice Gilbert Fountain's reminiscences about her father (I just saw her clip on TCM yesterday!). The photos are awesome, too. Her father's house does look like a castle! Thanks, Eve (and Leatrice, too) for a fascinating read. I need to check out DARK STAR. Eve, this is wonderful. Thank you for all your hard work. Leatrice Gilbert Fountain sounds like a lovely person, and I am grateful that you chose to highlight John Gilbert here on your blog! Eve, you really put your whole self into this, and you did a marvelous interview. How wonderful for Leatrice and classic film fans everywhere to find out the truth about Gilbert and see him in a different light. It is so sad that he was not part of her life until shortly before he died, and she obviously adored him. I plan to watch or DVR every movie tomorrow. I too was surprised when I saw him in a talkie and didn't think his voice was bad at all. He had some bad press, didn't he? Congratulations Eve for your opportunity to interview Leatrice and share it with us. Thought-provoking piece on a star that forgotten for years. The enthusiasm this blog has generated at the Cafe and among old and new friends at TCM's site is very rewarding. Motorcycle Boy got right to the heart of what Leatrice achieved. Exactly. And Rick, I'm glad you mentioned John Gilbert's house. It has quite a history of its own, probably worthy of its own blog. 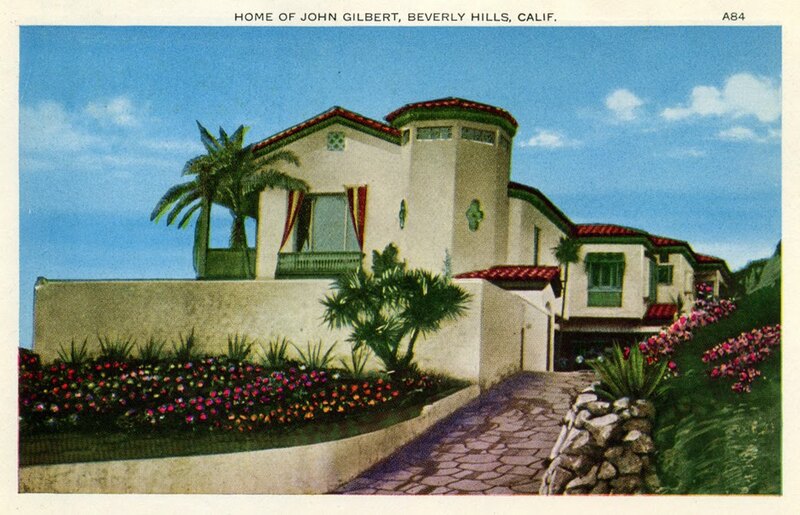 Gilbert built it in the '20s, it was sold to Miriam Hopkins following his death. She sold it to David O. Selznick in the '40s and he lived there with Jennifer Jones until his death in 1965. A few years later Jones sold the house to a Warner Bros. exec (he gave Leatrice a tour when she was in town researching her book). In 1977 the exec sold the house to Elton John and in 1981 he sold it to its first non-entertainment biz owner. Who demolished it. Thanks to Christy for posting a link to this blog on TCM's Message Boards. And Becky, tho I do think it's sad that Leatrice wasn't able to know her father better or longer in his lifetime, she was able to transcend that in some ways by helping him achieve film immortality. Always good to get your perspective - and Milton, yours too. Theladyeve, Thank you for sharing your Awesome interview and beautiful picture of Leatrice Gilbert with us! 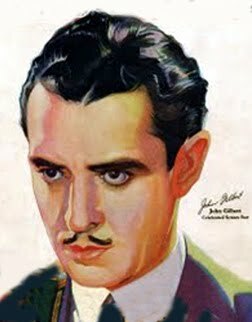 I'm so looking forward to watching TCM's tribute to John Gilbert today. I added a link to your interview on Noir and Chick Flicks page. "...I wrote a teary comment but it did not appear with your blog...I loved your story. It covered everything with grace and skill. Thank you with all my heart...With love, Leatrice"
Eve, I thoroughly enjoyed your remarkable interview with Leatrice Gilbert Fountain. I think that her father appeared literally at the most important time in her life, to rescue her from a dangerous situation. Daughter and father were able to communicate during what became the final year of his life, and those moments are some of the most precious memories she can hold. I was delighted to hear how directors and actors provided assistance in her quest to learn more about her talented father. The photographs you selected were beautiful, Eve. I especially enjoyed seeing a lovely young girl seated with her beautiful mother and then the elegant portrait of her today. This picture shows a radiant woman, who has been blessed abundantly. Thank you, dear Eve and Leatrice, for sharing this precious story. When I saw John Gilbert on TCM all day August 24th I was thrilled!! 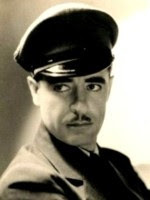 John Gilbert has been a favorite of mine since I was a child. He was my Grandmother's heart throb. It is not too often you get to see his work. A whole day ..what a privilege. Thank you Eve for this nice interview. Thank you to Leatrice for "Dark Star". I have had it in my library for a longtime. The only reason I purchased QUEEN CHRISTINA was to see John Gilbert in the fire light. Thank you, Toto, for your insightful (as always) remarks. Nice to hear from Anonymous (#1), too, a true John Gilbert fan. And Leatrice (Anonymous #2), I'm so happy you were able to post a comment! I can only imagine how rewarding it must be for you to realize the extent to which your father's work is respected today - nearly 75 years after his passing. I don't know if you will come back to see any more comments, Leatrice, but your love for your Father is a beautiful thing. I lost my Dad when he was very young, and I always treasured any remarks about him from people who knew him. I was so pleased to hear that Lewis Milestone was a faithful friend. I just always liked him. Your dad was dashing and handsome and talented, and wouldn't he love the resurgence of his work among people who know good work when they see it in classic film. Namely, us! Leatrice, It has been a thrill and an honor to meet you. I'm glad that you were able to spend some time and get to know your very talented father. Thank you, for all your hard work in keeping his memory and films on going, for us classic movie lovers to enjoy. After seeing "Flesh And The Devil" (1926), the other night on TCM, it was quite apparent to me why John Gilbert had been a star. He and Garbo had a magic chemistry together, and the film, which was beautifully photographed, has a timeless appeal. I would love to see this movie on a large screen, presented under ideal circumstances. If I see any of John Gilbert's films scheduled in my area (the San Francisco Castro theater would be wonderful) I'll be there. And if Leatrice happens to be presenting her father's work I'll consider it an even greater pleasure and a priviledge to join in the applause. Thanks for your comments, Leatrice, and for your insights with Eve! Your father's "TCM day" must have been rewarding. Lovely post. I'm so glad TCM had a whole day of Gilbert, I recorded several films I had not seen before. Congratulations on winning a CiMBA for this blog post. It is well-deserved. Just in case they come back to this blog again I'd like to post a thank you to Anonymous from Germany for reading this blob and commenting on it. And I'd like to thank Java very much for the congrats on the CiMBA award - it was unexpected but thrilling. "Downstairs" does not seem to be online. 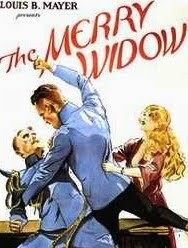 Does anybody know why "The Merry Widow" and "The Big Parade" are not available on DVD? I cannot understand that. DOWNSTAIRS was shown on TCM last summer, so will likely pop up there again. THE BIG PARADE is available on an out-of-print VIS tape, but it's pretty pricey. Thank you Anonymous for your interest in my father. It does seem as if the tide has turned in his favor; his films are available (some of them) and people are studying his career and his short, meteoric life. I think you may find a used copy of my book, Dark Star, on Amazon. They had a few recently. Tasmania is one place I always wanted to visit. From pictures,it looks very beautiful. The film, La Boheme, starring John Gilbert, my great grandfather, is showing at the San Francisco Silent Film Festival tomorrow, Feb. 12 at 8pm, at The Castro Theater. Lillian Gish plays opposite him in this lovely film. For any enthusiasts in the area, it's a rare opportunity to see him on a big screen. hope to see you there! HIS GLORIOUS NIGHT was NOT NOT NOT a flop. It was made for $210,000 and grossed $590,000 according to Donald Crafton in his book on the talkies.